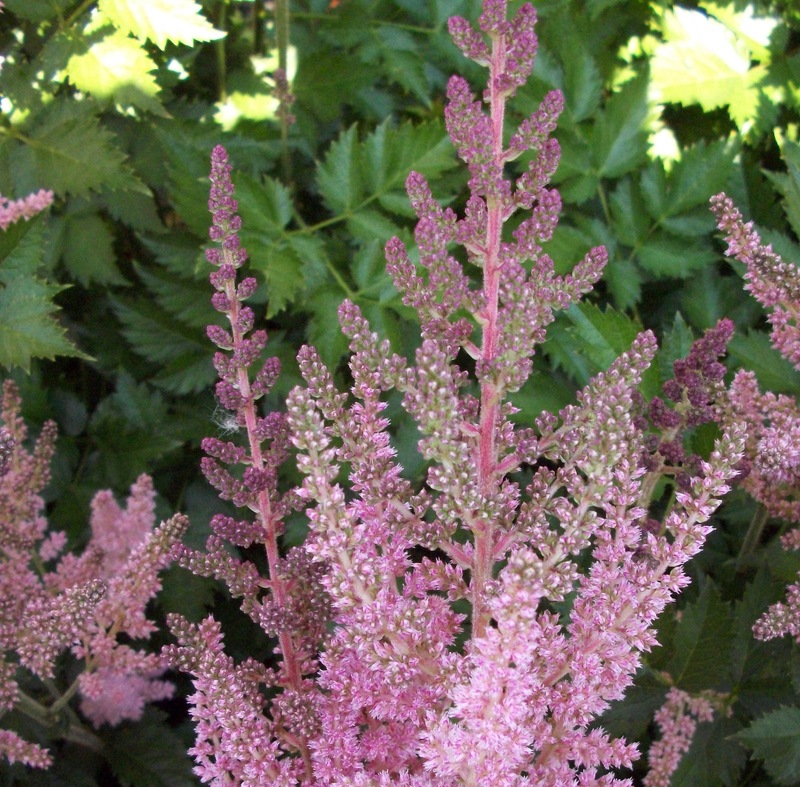 A robust grower with coarse blue green leaves that adorn dense pale pink blooms in mid-summer. More drought and sun tolerant than most species. Flowers are good for cutting and drying. Astilbe will grow in full shade but plants will not flower as much. Light shade is best and needs consistent water especially in sun.